1.5 ft. 3 ft. 6 ft. 10 ft. 15 ft. 25 ft. This black, FireWire 800 9-Pin to 8-Point Cable from Pearstone allows you to connect a variety of FireWire devices, transmitting data at speeds up to 800Mb/s. It provides high speed digital transmission of data, video and audio between computers and consumer devices such as scanners, printers, DV camcorders, external hard drives and more. 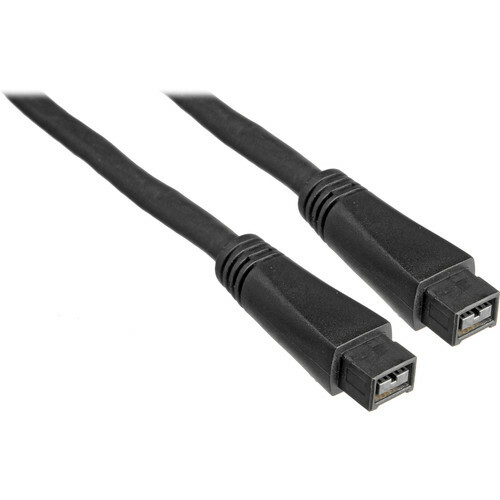 FireWire 800 9-Pin to 9-Pin Cable - 25' (7.6 m) is rated 5.0 out of 5 by 1.